The Samsung Galaxy Note 9 release date is most likely six months away but we now have confirmation of its existence in the form of a trademark application. Filed in Columbia, and reported by Dutch site Galaxy Club, the listing for the Note 9 appears alongside other devices including the Galaxy S8 and Galaxy S9. According to the report, the trademark application was filed on 12 March 2018. So what do we know about the Note 9 so far? Not a lot yet. 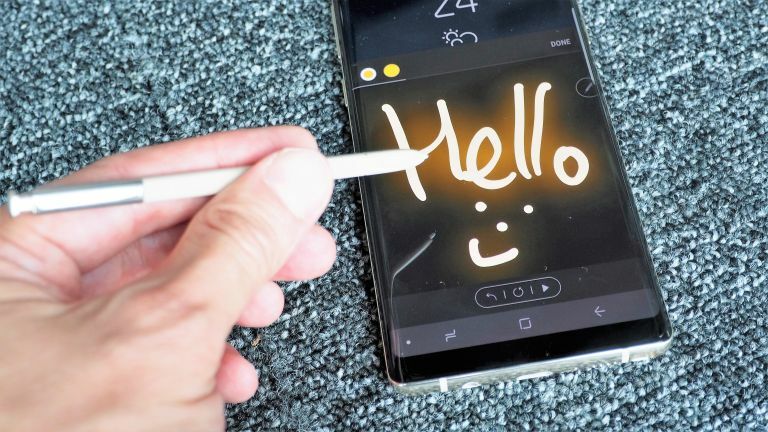 We hear that it probably won't feature an in-screen fingerprint reader, but it will probably feature an upgraded camera and slightly smaller bezels than the Note 8. And of course, it'll come with an S Pen stylus. In terms of specs, we're expecting the same processors that are in the Galaxy S9 and S9 Plus (Exynos 9810 or Snapdragon 845 chips, depending on your region) and the same amount of memory as the Note 8 – that's 6GB. As for the Note 9 release date, looking at the release dates for previous Notes, we'd expect the Note 9 to be launched in mid to late August 2018. You'll find lots more Note 9 speculation in our article Samsung Galaxy Note 9 leaks and rumours.